So, clearly I missed the boat on Jamie Kennedy's Wine Bar, instead this place is now known simply as The Wine Bar. If a restaurant is EMPTY, go somewhere else. The Wine Bar was eeeempty. 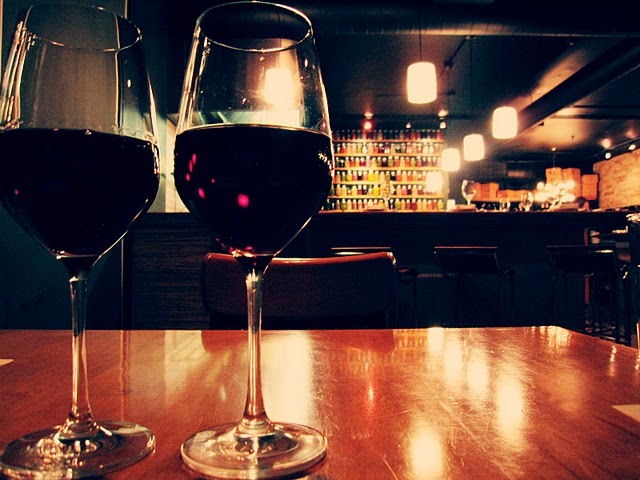 Aside from the wine (good thing it's called the Wine Bar), this place is a disaster! Oh, and I still don't get "tapas" - small portions are not for me. I love food and I love seeing LOTS of it. Very attentive, polite, accommodating to dietary needs. We ordred the grilled flatbread (with house smoked chicken, tomato and mozzarella) and requested less mozza, to which our server suggested he could do less on one half and no mozza on the other if that was preferred. Great! Perfect. 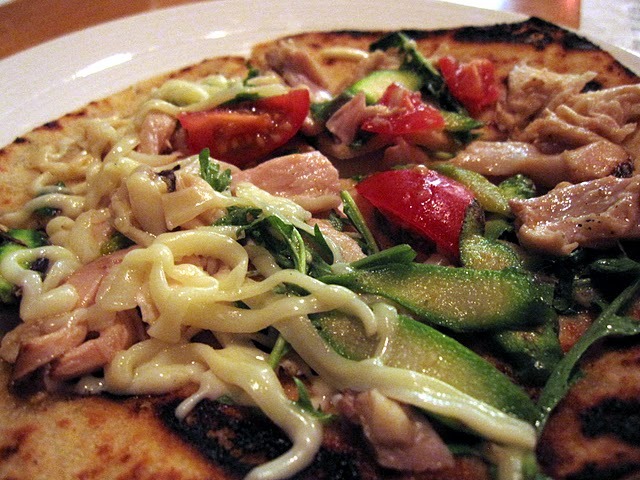 The flatbread arrives and the chicken looks a bit pink in the low-light. The taste? Awful. The chicken truly is pink, is bad cuts of meat, and doesn't taste at all fresh. 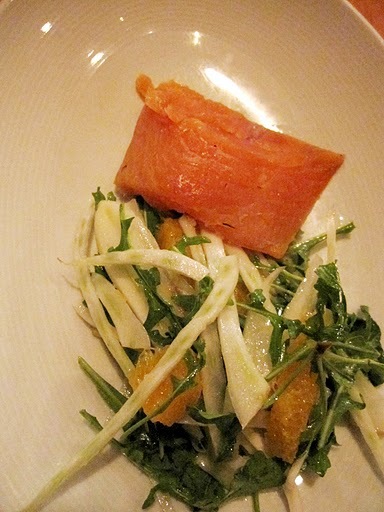 The next thing we had ordered was the artic char (smoked) - with arugula. The smoked artic char arrived looking...smoked. And fishy smelling - fresh fish should never smell fishy - and overly salted. Were we ever grateful for the salad! 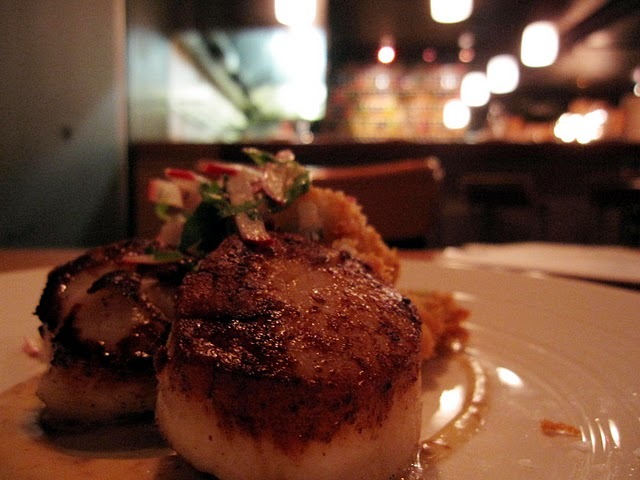 Then there was the scallops - OMG!! Both of our upset stomachs the next day verified what we'd thought all along: neither the scallops (nor the fish or chicken, for that matter!) were fresh. One bite of it was all we needed - it tasted like the bottom of the bay, like how you'd imagine a fish tank tasting. And the wine? 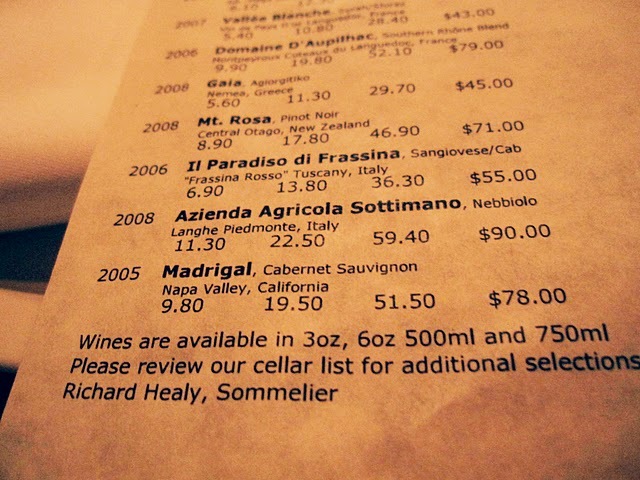 Besides the fact that we thought it was $10 for a glass (turns out it's $10 for a TASTE and $22 for a glass!) they were both very good. Needless to say we drank every last drop of the wine, mostly to rid ourselves of the terrible food flavours. Soooo gross, you guys!! And we were so sick after! I must admit I'm glad the portions were so small! We ended up having to go for dinner again after that meal. We headed over to JUMP where we KNEW we'd get incredible food, wine and service.